Philippe Heller started the company in 2004 after a really poor home inspection on his own house. He applied his background in technology to build an innovative, industry-leading company. Working for SDG&E, GE Power Systems, Cox Communications and Time Warner Communications taught him a lot about technology, quality, and customer service. These traits are passed on to all of the employees in the company to help you. What started as "The San Diego Real Estate Inspection Company" has changed to "The Real Estate Inspection Company" after expanding to Temecula and South Orange County. The Real Estate Inspection Company now inspects more than $3 Billion worth of real estate every year. That level of experience is unmatched in Southern California. All of our inspectors are equally equipped with Thermal Infrared Imaging Cameras, voltage detectors, Carbon Monoxide detectors, combustible gas detectors, microwave testers, and all the standard tools of the trade. Jamie Hawks is our General Manager who oversees field operations and reviews the inspectors' reports for extra quality control. Philippe and Jamie train and mentor all the inspectors. The whole team; Philippe Heller, Jamie Hawks, Ken Heller, Don Moore, Mike Davis, Magnus Bludworth, Alon Hasson, Kevin Burgess, Brian Pennington, Justin Copeland, Aaron Tenneson, Jim Rose and Philip Smith have thousands of inspections under their belts collectively. We have inspected homes ranging from the most run down foreclosures and “hoarder” houses to multi-million dollar estates. You name the defect and our guys have seen it – and a lot more too! We also have a unique advantage by having multiple inspectors. Clients benefit from their shared experiences. We constantly share what we find and regularly challenge each other on things we see in the field. This shared experience ensures that you benefit from our combined efforts. If you have questions about home inspections be sure to visit our FAQ page or call our office and speak with our knowledge office staff. Either our office manager Tonja, or our assistants Julie, Carrie, and Jordan, can assist you with questions, pricing, scheduling, payments or assistance with your account. 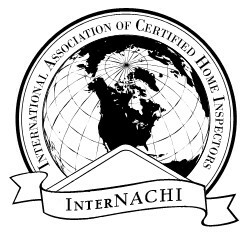 All of our inspectors are certified members of the International Association of Certified Home Inspectors InterNACHI which is the most prodigious home inspector organization in the world. The home inspection business is very personal. It is based a lot on the individual personalities and abilities of the inspector. Most home inspection companies are one-person businesses, and inspectors work hard to build their own reputation. But there comes a time when a good inspector just can't fit any more inspections. When it came time for us to grow our team, we set out to find the best people we could. We work very hard to make sure all of our inspectors abide by the highest standards. Our training processes and customized software reinforce the same high standards among all of our inspectors. And with our Inspection Guarantee, another first in San Diego, clients feel confident having any of our inspectors perform their property inspection. All of our staff are employees, not 1099 contractors. To find out what our clients say about us, you can read numerous reviews on Yelp! As the company grows we are taking steps to be as responsible as possible with regard to the environment. We allow our staff to telecommute, not only to save costs but to allow them an ideal work environment. We are also introducing very fuel efficient vehicles for our Home Inspectors, all of whom drive about 30,000 miles per year. This will contain costs and reduce emissions. All of our reports are delivered electronically to save paper. We estimate that by sending electronic reports to all parties involved with a transaction, we will save approximately 300,000 sheets of paper per year. Perhaps the best way to get to know us is to read the many reviews that have been posted by our clients over the years. We have many home inspector reviews on several major sites such as Yelp! , Facebook and Google+. We welcome our clients' feedback – both positive and negative.